Canada is an incredible country for immigrants and visitors. It is a home to some of world’s most beautiful natural places and attractions. At one end Canada’s natural landscape mesmerize the visitors and tourists, on the other end its vibrant and full of life cities fascinate the travelers coming to the maple leaf country every ear. If you are planning a holiday in Canada, here are few top tourist destinations you must not forget to visit. The great Niagara Falls don’t need any introduction. It is probably the best natural wonders in the world. Every year millions of people arrive in Canada to experience the thrill and excitement of being at magnificent Niagara Falls. Its a huge fall (close to 60 meters) located close to Toronto, Canada. If you are coming to Canada with family and kids, you are going to enjoy having a closer look at this incredibly massive and gorgeous Water Fall of Canada. So, come and be part of Niagara Fest this summer. It’s a perfect place to enjoy the winter sports. Whistler is a popular as ski resort, located close to Vancouver in Canada. It’s a vibrant place where you can enjoy the mountain biking, skiing, golf and various other recreational activities. The eye-catching view of massive snow-covered mountains will also take you by pleasant surprise and delight. The Village of Whistler also hosted the 2010 Winter Olympic Games and it has been a great tourist destination since then. It is the Smallest Canadian province and one of the best places to be at while you are in tour of Canada. Prince Edward Island is popular among the tourists for its marvelous beaches, rocky red cliffs, fresh seafood, and incredible and iconic architecture, etc. It’s the oldest National park in the Canada and one of the oldest in the world. Located in Alberta province of Canada, Bannf National Park is in the west of Calgary (100-180 km west). This UNESCO world heritage site is also a great tourist attraction with its rock mountains, Lake Louise, largest cave system, and thousands of glaciers. Also Read- Which is the Best Canada Immigration Program to Get Canada PR in 2017? Quebec is one of the major provinces in Canada. The Quebec Old City (founded in 17th century) is one of the several UNESCO world heritage sites in Canada. The monuments, churches, royal places, convents, etc. of the town built on cliff; mesmerize the thousands of tourists and visitors coming to this part of the world every year. 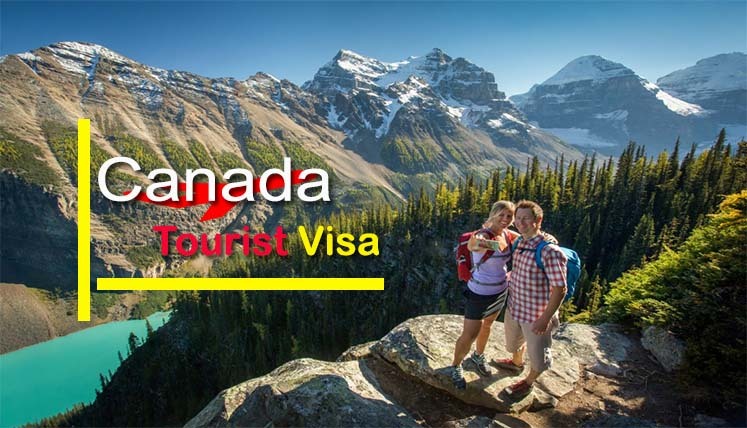 If you have plans to explore the unmatched natural beauty and cultural diversity of Canada, you can apply for the tourist visa in Canada through a trusted Canadian Visa Consultancy Service. For any queries concerning Canadian Tourist Visa, PR Visa, etc. you may send an email to the Canadian immigration expert at info@visasavenue.com.